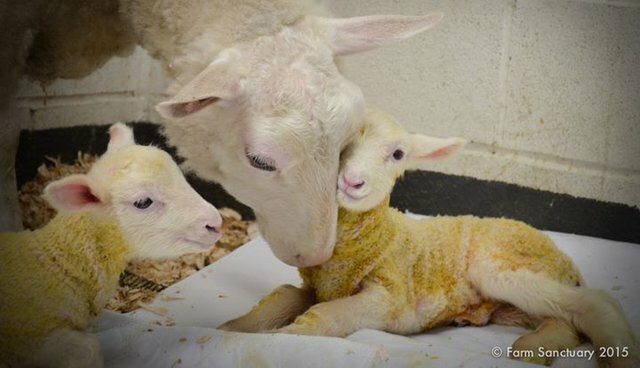 Two sweet baby lambs were just born into a very lucky life at New York's Farm Sanctuary, and they've already stolen everyone's hearts. 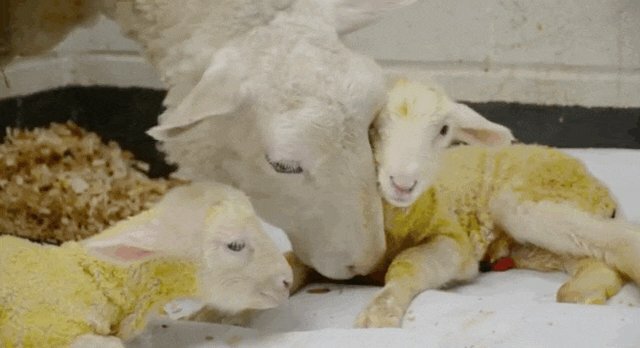 The video of the babies' first steps and their first few minutes with their mother shows just how important the initial bond between ewes and their newborns is - and how much is lost when babies are separated from their mothers at birth in factory farming operations. They get their first kisses. And take their first steps. 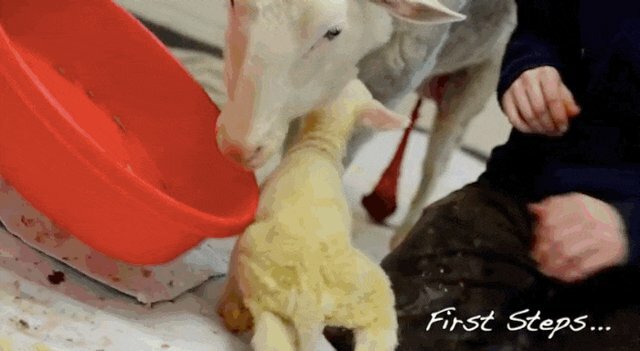 You can even see one of the babies wagging his tail with happiness. 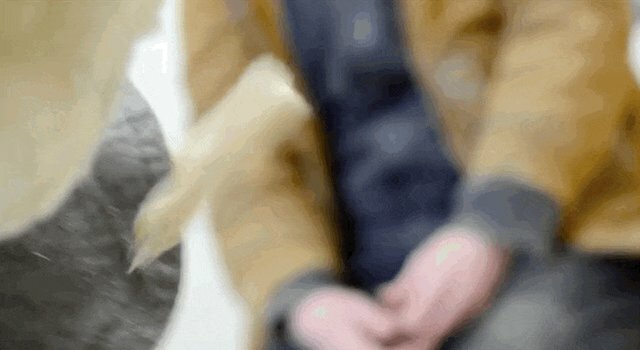 Sheep, like dogs, use their long tails to express emotion. 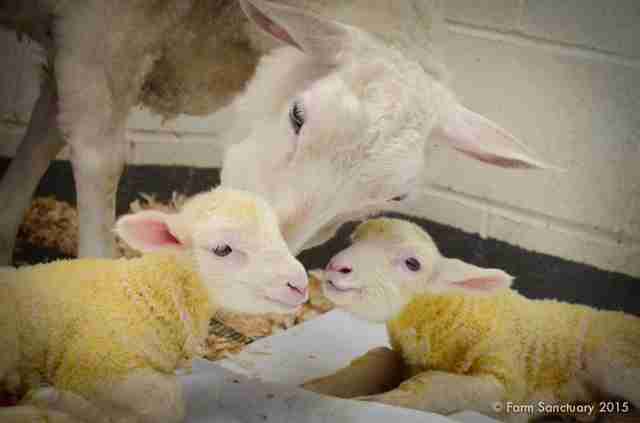 Most farms dock lambs' tails to prevent parasites. 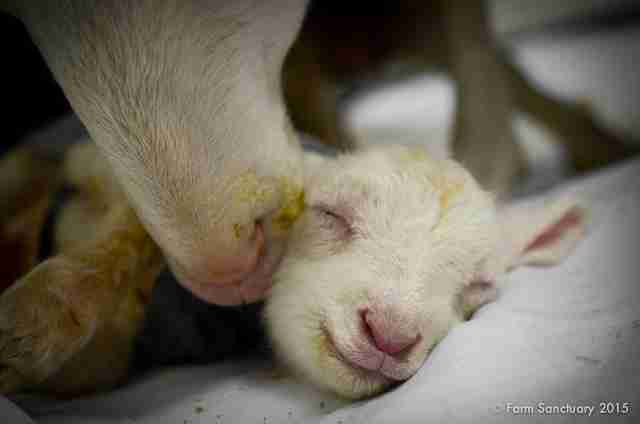 Docking sheep also makes it easier to shear them, and slaughterhouses prefer to process tailless lambs. The procedure is often done without pain relief, and can cause them distress. The twin brothers, Reuben and Summer, were born in late February to mother Louise. Louise was rescued in January, already heavily pregnant, from a life of neglect where she had slowly been starving. Because of her poor health, Louise had a high-risk pregnancy. Reuben was born first and was quite healthy, but Summer had trouble taking his first breaths and needed to be tube-fed for his first few meals. He later developed a foot infection and had to have surgery, but has since bounced back. Fortunately, the family is doing well, and and Louise is recovering from her hard life with her babies by her side. If you'd like to help Reuben and Summer, and more animals like them, you can donate to Farm Sanctuary online.